Sharing few experiences of Lord Shirdi Sai Baba. Anonymous Devotee from India says: I am from Hyderabad, and I am engaged a year ago, that is on Feb 12th 2012. And now I am waiting for the marriage. Ours is a love marriage and we are into this relationship since 8 years, and we are happy as all our family members accepted this relationship by Sai Baba's kripa. I want to just share a very small miracle, which took place yesterday in my life. Thanks you so much for introducing this site. Thank You Shree Sai Baba. When I met my would be or when this relation started, he was very rich, with lots of money, building and cars and 4 two-wheelers for each of his brother and one for his dad. But suddenly in 2006, it so happened that he had huge losses in his business and lost his everything. But I never stopped my relationship with him. For more than two years, he was in Vijaywada at his friend’s place. So many problems arouse and whole the family was suffering very badly. Now he is back to Hyderabad in 2012, and started working in a private company with a less, but good pay. But it so happen last month that I planned to buy a bike as he is into marketing. He has to roam the city from morning to evening. Sai Baba knows how much I love him. On Jan 31 that is on Thursday he went to purchase the bike on his name, but couldn't do that as he was having a cheque bounce in his account. So he had applied in my name and got it done yesterday. Now with the help of Sai Baba, we had purchased a Splendor Deluxe, and as we purchased it we both went to his parents asked them to see the bike and we just started to SAI BABA temple. We did the pooja and using it from today. Baba you know what to do and when to the work. I am so happy today Sai Baba. I always used to feel that I am unlucky for my boy friend. When I entered in his life, he had problems. 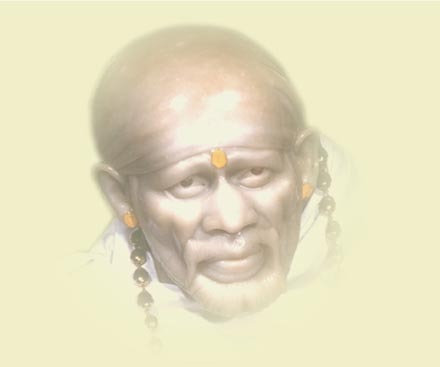 But by Baba's grace, he is true devotee of Sai Baba, and loves me very much. So the miracle here is if Sai Baba fulfilled my wish that my boy friend must have a bike. Thank You so much Baba. I love You Sai Baba. Anonymous Devotee from India says: Sai Ram, Hi I am From Delhi, India and a strong believer of Sai Baba. Please do not disclose my name and email ID. Hetal Ji, May Lord Sai Bless you and all His devotees with utmost faith and all the good things that we all deserve. I am strong believer and have great devotion towards Sai. Like He always says I am trying to keep the 'Aham' inside me at His holy feet. I would love to tell everyone about my recent wonderful encounter with Sai. One day, I saw a dream which I don't remember at all however, the only thing I had in my mind was that Baba wants 4 rotis and 'tamatar aloo ki sabji'. With this in my mind, I asked my mother to make them. When she was making the rotis, my father came and asked us to make 6. We avoided his comment and I packed 4 rotis for my Baba. When I went downstairs with my father to give them, in my heart I was praying that, 'Baba Aap Khud Hi Aake Le Lo Please'. But I couldn't see someone in sight whom I could feel to be Baba. Suddenly out of nowhere, a rag picker dressed fully in white came by and my father asked him if he had his lunch. He said no, so we gave it to him. I was fully satisfied that yes Baba took it from me. But another thing happened at home when I gave my brother his lunch. 2 rotis from his plate fell on the floor. I was confused what to do with them, when my mother told me that my father wanted to give 6 rotis, but we avoided that and packed only 4. This was Baba's way of telling that we should have packed 6. Sai makes us realize everything, makes us realize out mistakes and bless us all the time by showing His presence. Please Sai always be with us and help us in all that we do. Om Sai Ram!!! Sai Brother Vinay Ji from USA says: Thank you Hetal Ji for your hard work in maintaining this wonderful blog for all Sai Baba devotees to share their experiences. These experiences help to strengthen our faith in Baba especially during difficult and trying times. I am sorry that it has taken me a while to publish this experience. Baba, please forgive me. I recently became a Sai Baba devotee after marriage and about 2 years ago, when visiting India, my wife and in-laws arranged for a trip to Shirdi. I was very happy that Baba called me to Shirdi very soon after I became a devotee. While walking in the grounds near the Mandir, I saw a boy was selling some cards with various photos and drawings of Baba on them. I thought in my mind, "Those would be nice to have as I could keep one in my wallet and also give to any Sai devotees that come to our house." However, since I was traveling with others, I decided to drop it or purchase them later outside the main gates. Next thing, I saw a man, who looked exactly like Sai Baba with a white beard and with a white dress (exactly as in the photos and other drawings of Baba) and felt very happy. Then suddenly I felt something on my right arm, and on my arm, a pack of the Sai Baba cards I had been thinking about, suddenly appeared. I had not mentioned this to my in-laws or wife that I wanted these cards, and had not paid any money to the boy selling the Sai Baba cards. It was just a gift Baba gave me. I felt so happy seeing these Sai Baba cards and now I have kept one of them in my wallet. My wife keeps one in her purse and we have all of them, as it was Baba's nice gift of my first trip to Shirdi. Om Sai Ram! You are great to give such nice expereinces to your devotees. Please make me surrender my thoughts,actions, behaviour at your lotus feet. Love you my Heart dweller. 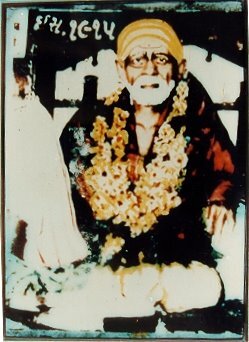 Om sai jai sai. Thank you Hetal Ji for publishing such a nice experiences.1st devotee congratulations for your marriage and your bike.2nd devotee you are blessed to have saiji's dream and feed baba as per your dream.3rd devotee our merciful saiji is very caring he always fulfill his devotees wishes. Too good. I was just thinking about my love life and was waiting for an experience to be posted here. Miracle is that the first experience makes me so content. Baba.. help me please ..show me the way ..a m lost ..
Sai Ram Everyone. Hetal ji you are doing awesome job. You are giving all Sai devotees a platform to share Sai Baba's experiences. I wanna share one wonderful experience which happened with me yesterday and proved that Sai baba is with me each and every minute to guide and help me. Yesterday was Sai day (Thursday) and Telugu New Year (Ugadi). On Wednesday night I had a big fight with my hubby and it continued on Thursday too. I have a feeling that if on Ugadi I will be sad and crying then I will be crying for the whole year. So I was praying baba continuously to make everything OK. My hubby was very angry with me and he was not talking to me and I was very sad and I couldn't concentrate on anything and i was crying before baba for help. And my sweet baba has lot of plans for me. And later in the day there were lot of leelas which happened my Sai grace. I felt as if baba was saying Ru happy now and Ru satisfied?.. Later in the evening my hubby and me sorted out our problems and we went to Sai baba's temple to thank him for everything. I couldn't wait for this to publish so i am putting this experience in the comment. I will post all the leelas which happened on Ugadi in my later post. Nice experiences...................... Om Sai Ram...!!! baba please save him today baba you know what is going on and baba u know how heartbroken I am...today its a real test of your power and love for your devotee if you fail me today i will really lose faith in god baba...u know what has been happening and u also know how fervently i have been praying baba but instead of things looking up they are becoming more worse i seem to have lost everything baba and that is killing me please bring back the most precious thing i have lost baba dont make me feel that my prayers to u for past 3 years have gone waste....please dont show me this day after giving so many positive signs baba...inspite of all the horrible things happening around i still kept my faith in u strong but now am shocked and tired both baba looks like u have abandoned me and i dont knw the reason baba y ur punishing me like this...Please forgive me if i have done any mistakes but for once make me feel that ur with me and stop the nonsense that is happening baba please dont let him go far away from me baba....m literally into tears while i right this its killing me from within baba i didnt expect this from u after making me wait for 3 years giving me hope that u will set everything right and get me justice...today am praying to u earnestly baba please come running for my help i need u the most baba dont let me down now. people please pray that baba responds to me immediately and tell him to help me else everything will be over. pleas don't get fear when hamara sai is hear..your shradha wont be waist..once be calm and think there must be some solution..jay sai rama...mera sai hum sub ke sath hai.. Thanks Bhanubrata for the kind words. It really means a lot during such trying times. I wanted to thank sai today since he seems to have partially taken care of the problem that I was worrried about yesterday but still full solution is not seen but just wanted to share that he seems to have atleast stopped the calamity as of today and I truly want to thank him for that. Baba i request you to please take care of the problem you know what I have prayed to you for please make that happen immediately and save him from that nonsense there and get him outta there immediately baba. please give me some relief immediately baba i have suffered a lot and now after waiting patiently for so many years dont want to see this day. Please help and solve the problem permanently and give me peace. Baba please for give me for all my mistakes. Baba pls forgive me ...last year i was at shirdi during this time and one small girl was forcing me a lot to buy Baba post card .. but since i already bought some and since its time for our departure and i was in a hurry i behaved rudely with the girl not to force me like this i already bought some.But after coming from shirdi i am feeling very bad as to why i have rudely talked with that small girl in shirdi.I would have bought it all from her even if i had already bought from others.Pls Baba forgive me i am really sorry for this.Pls baba. very nice experiences and happy Ugadi everyone! Kindly see to it that all true things come to the surface as early as possible.Don't know who is at the back for the problems that we are facing today.Baba you are the Antaryami and so come early and solve all problems in a jiffy.Everybody from all angles are facing some tensions and this is mounting pressure on everybody.Please make the people who have done this to openly tell to each and everyone.Thank you Baba!OM SAI RAM OM SAI RAM OM SAI RAM OM SAI RAM OM SAI RAM OM SAI RAM!!! Pranam to all. Om Sai Ram! If any of you can tell me an answer for this, I would be very happy. My mom and I are extremely upset due to the issues with my marriage. I have been crying on this issue since last June 2012. I have gone anemic without proper food and sleep, lost hair and missed my menstrual cycles since 5 months. As I have missed my cycles, I have also developed poly cyst ovary syndrome in my uterus. Due to worries, there is not a single day I had slept continuously for at least 6 hours. I have irregular sleep and I sleep to a maximum of 2-3 hours. Doctors have been saying that it is all due to anxiety, stress and once I overcome it, I should be okay. Lately, I don't find any improvements with my personal issue. I am the only child for my parents. I have done double Masters from the UK and I am back to India completing my studies. Though good at studies, I have lost confidence in life. I am unable to spend time with others or even get along with anyone. If at all I go out, I only go to Sai temple with my mom and while going to the temple, I cry all the way on road thinking about my problems. Though I am aware that people are looking at me, I am unable to stop crying. This way, last Tuesday I terribly cried while heading to the temple. My mom stopped to buy some garland and sweets for Sai. I was red-eyed with tears even in the shops. I cried to Sai at His premises and when we stepped out, we were searching for our slippers. My mom's left leg slipper and right leg slipper of mine were missing out of the pair. We only found one slipper for each of us lying on the grounds and the other one for both of us were missing. We wondered how could someone take just one slipper and leave the other slipper as it may of no use to them. We searched for dogs around wondering if it has taken away our slippers. There was none. Coming home, I shared the incident with the elders in my family. People come up with various comments. I am not sure what exactly the meaning is behind losing one slipper out of a pair at a Sai temple. If any one of you can tell me, I would be very pleased and glad to hear from you. dont take tension for small small things.. there is nothing to worry about it..may be someone has taken the slippers by mistake. while wearing in hurry they might have not observed the slippers i guess.. leave everything on Sai & trust him then you will see the magic.. taking tension shows lack of trust on Sai.. try to listen Sai songs, read books of Sai when u have free time.. dont keep on thinking about your worries.. it will spoil your health itself.. one day everything will be alright.. Sai will not leave his devotees had.. completely surrender to him & forget your problems.. sorry if i hurted your feeling.. i know it is difficult to do. but I am 100% sure if u surrender everything to Sai without taking tension he will bless u massively.. we all will pray for you.. Please take care of yourself..
though i dont know what exactly your problems are, as you can see that most of your health problems seems to be from your stress level & worryings only. so, to start with, Forgive (everyone) & Forget (every bad & sad past), have full faith in SAI and try to lead a peaceful life. there would be hardly anyone in this blessed world without any problem(s) in life. we must treat every happiness & sadness in our life as passing clouds, nothing is permanent, nothing will last forever, life must go on. live in "present" not in "past". yes, it is easier said than done, but at least give it a try. well, regarding those missing slippers, though i dont the exact significance, it is generally believed that, it is for good only if one loses one's footwear in temple! it is believed that all your "bad luck" has left you along with your lost footwear! so, take every occurance in your life in the right spirit & lead a peaceful life. may SAI bless you & your family with Good Health & Happiness always. such a wonderful experiences. pls be with us. never leave us alone. baba pls bless all of us. Keep showering Your Blessings on us always O Sai! baba ji mehar karo mujh par..........kya main aise he tadpati raho ge.... roti rahu ge..... koi chamatkar karo parabhu mera vishwash mat todo...........agar sab ke sunte ho sab ko dete ho to mujhe kyu nhi dete bolo maine kya kasoor kiya ha jo main es tarha bhatak rahi ho aap sab ko de sakte ho mujhe nhi de sakte. Nice experiences! First devotee, Baba has helped you and your soon to be husband with recovering from the money losses and will continue to bless you both with a happy marriage. 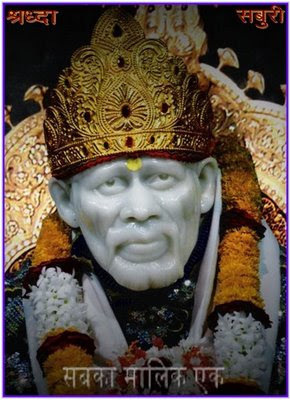 2nd devotee, Baba gave you a very nice dream and Baba showed you how He many times through dreams and other ways guides us to help us relieve our suffering and achieve our dreams. Vinay Ji, it was very nice how Baba gave you the cards you wanted and wanted to show you in Shirdi and everywhere Baba is always there with us to guide us and help us. Om Sai Ram!